THE Mersey Beatles concert is coming to the Redditch Palace Theatre on Friday 12 April. The concert is a genuine Beatles extravaganza which includes a multimedia backdrop to enhance the experience. Replica costumes and instruments contribute to an authentic look and sound of The Beatles, capturing The Fab Four’s sheer fun in every performance. More than 40 of The Beatles greatest tracks are performed, covering all the iconic eras. Steven Howard, Mark Bloor and Brian Ambrose (Paul, John and Ringo) are all childhood friends from Liverpool who attended Secondary School together in the city and share a love for Beatles music. Craig McGown completes the line up as George. Being from Liverpool, the accents come naturally, whether that be song or speech. 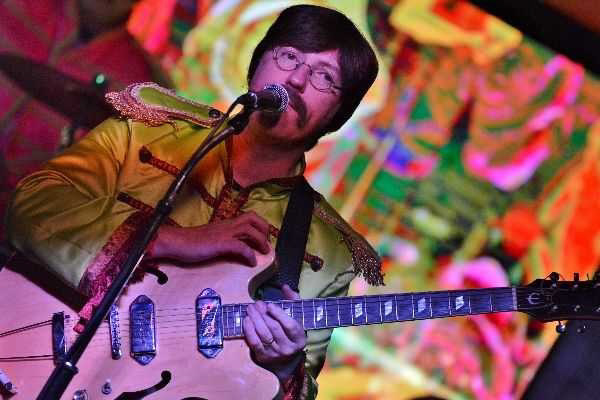 The Mersey Beatles’ ten year residency at the world famous Cavern Club, where The Beatles started out, has helped hone their skills and expand their repertoire. Visit www.redditchpalacetheatre.co.uk or call 01527 65203 for booking information.